Which picture of Carter is your favorite? Favorit morphed Lightspeed Rescue Power Ranger? a pop quiz question Wurde hinzugefügt: Who told Heather that they were going to save her mom? 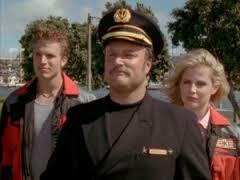 How did Captain Mitchell recognize Ryan when he was fighting the Rangers? He heard him call Dana his sister. He saw his eyes after his visor was blasted. He heard him mention their mother and family.